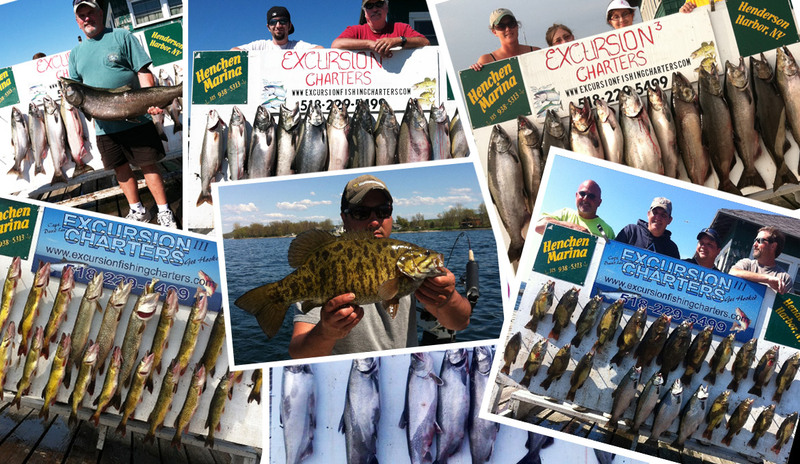 Lake Ontario is known for being one of the top fishing waters in North America. Made famous by its unbelievable salmon fishery, it also has its fair share of trophy walleye waters. Henderson Harbor Port is not only home to Excursion Charters' Excursion 3, but also is one of the best tourist spots on the lake offering numerous hotels, cozy bed and breakfasts, as well as many great dining spots. Beaches, as well as campgrounds are only minutes from port. 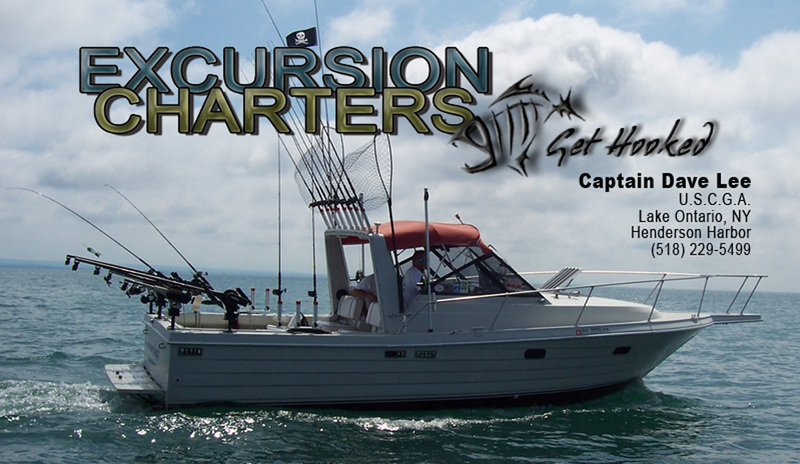 Captain David Lee, owner of Excursion Charters, is USCG certified and has been fishing the eastern end of Lake Ontario since he was two years old for everything from perch to steelhead - and everything in between. Recently, Cabelas Master Walleye Circuit has been stealing the spotlight with three consecutive stops in Henderson Harbor. Our Walleye fishing is second to none and truly must be experienced in order to fully appreciate it. Walleyes, on average, are between 5-7 pounds – with fish over 10 pounds common! 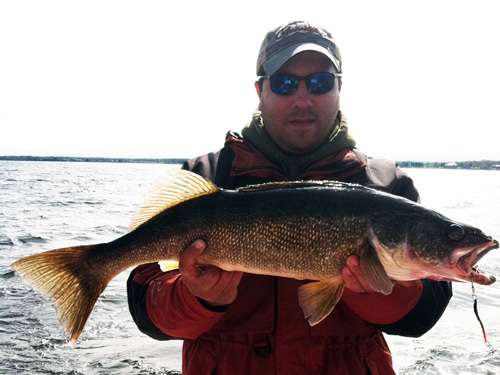 Ideal Walleye fishing is May to June and again August to September. Book now! The Trout fishing here is consistent from ice out (early to mid April) to the first part of October. Early in the season, the Excusion 3 can be found along the shorelines of the eastern basin plying the water for Brown Trout. 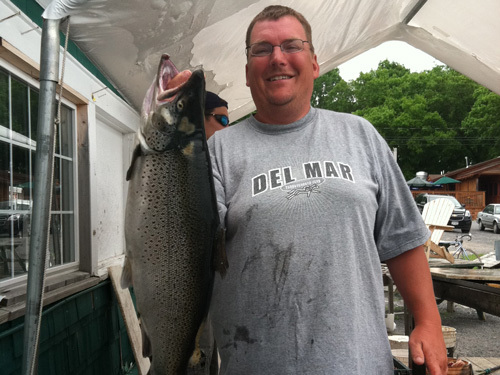 The Brown Trout fishing stays good right through June. 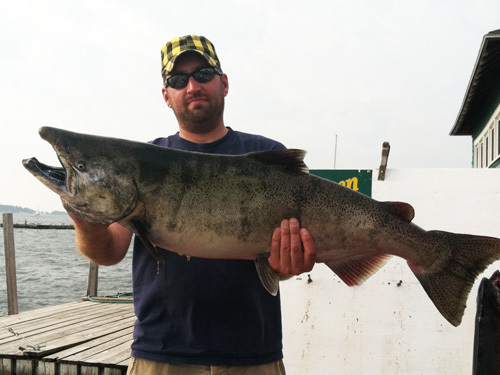 Starting Mid June when the offshore thermo cline gears up, Lake Ontario’s most famous sports fish – the King or Chinook Salmon – make their presence known! 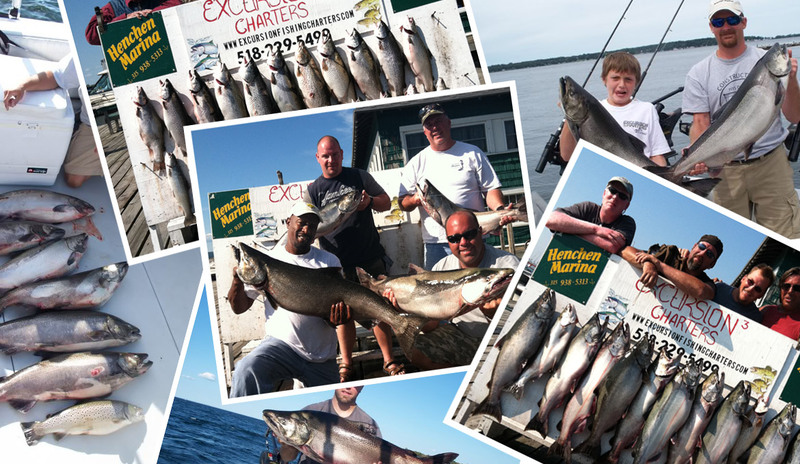 The offshore summer Salmon fishing in Henderson Harbor is second to none. Every year, we see more and more charter boats from other ports making the long ride in to fill their boxes with dime-bright Kings! The combination of offshore structure, bait, current, and temperature create ideal conditions for Silver Salmon to put their feed bags on! Salmon fishing remains consistent right up through September (just before they go up the rivers to spawn). Average size fish range between 15-25 pounds, with fish over 30 pounds, not uncommon. The fish that made Henderson Harbor famous! 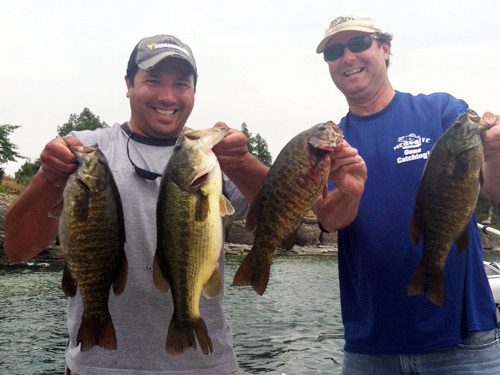 Smallmouth Bass fishing in Henderson Harbor is what Hershey, Pennsylvania is to chocolate! As Captain Dave’s first love, he knows every Bass shoal and bay like the back of his hand from many days in his youth spent in a 17-foot Mirro-Craft fishing the Stony and Gallo Islands. Pound-for-pound, Smallmouth Bass are the scrappiest sport fish around. From the end of June until the Excursion 3 is layed up for winter, fishing remains solid. Captain Dave prefers either drift fishing or anchoring for Bass using light to ultra light rods and reels. Limit catches are the norm with Smallmouths over 5 pounds common.